Player Character Elf Ranger. 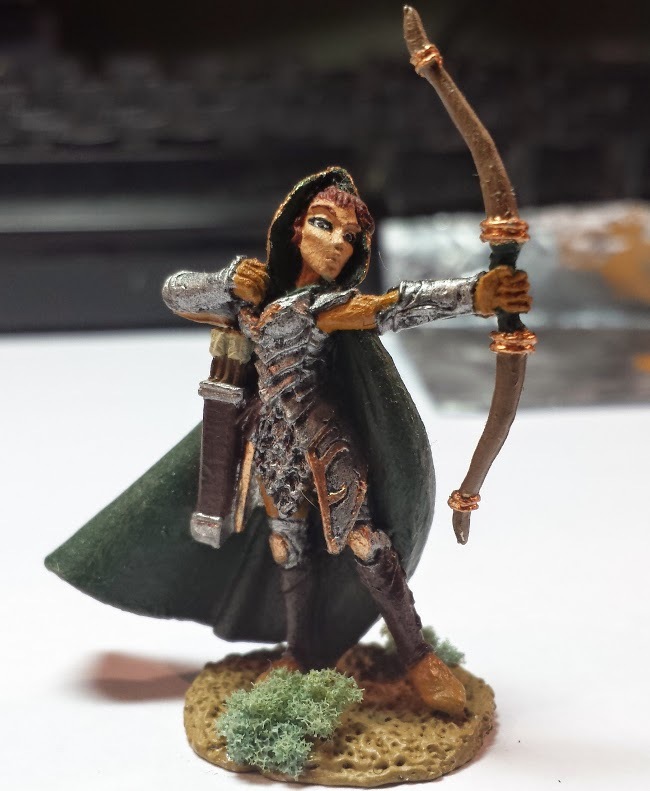 JADE Guest Kaila's used this mini for her Elf Ranger; Ashtal Mara, in The Impossible Campaign. Kaila created here using a Guardian Character Kit, and she defends the woods before the dreaded Dark mountains.